Organizers are expecting just over 110 boats to toe the line on three courses today, for the start of the 45th annual BVI Spring Regatta, which starts just off Nanny Cay at 10 a.m. and runs through Sunday. Activities began with the BVI Sailing Festival on Tuesday, with the Round Tortola Race for the Nanny Cay Cup. Petz said that there are over 50 entries for today’s BVI Sailing Festival kick off, with the Round Tortola Race, as sailors compete for the Nanny Cay Cup. The Scrub Island Invitational was held on Wednesday as organizers gave sailors and visitors an opportunity to see more of the islands. Thursday was a lay day for the sailor who headed back to Nanny Cay ahead of final registration that ended at 6:00 p.m. Yesterday was also Maritime Heritage Day. Petz said they are very fortunate to have the historic Tortola Sloops. She said they are helping to do some restoration and fund raising for them. 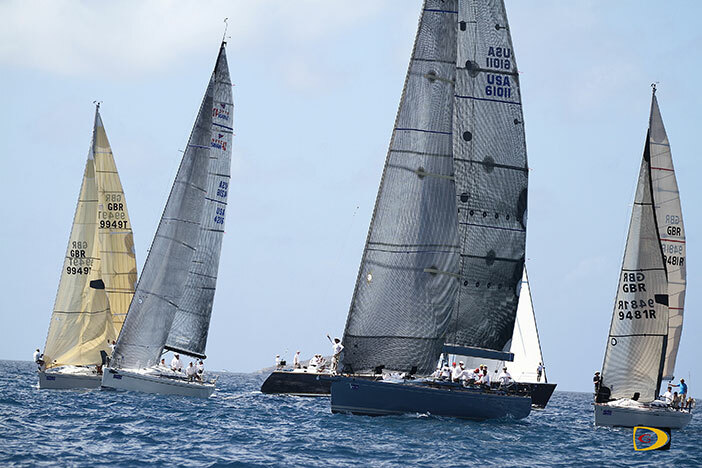 The 45th BVI Spring Regatta has three courses. The cruising course will be off Norman Island, with bare boats and jib and main. Just off Peter Island, is the racing course which will have a series of varied courses, while off Nanny Cay will be the one design course.